I have been working with my 2nd through 5th grade students on digital citizenship. 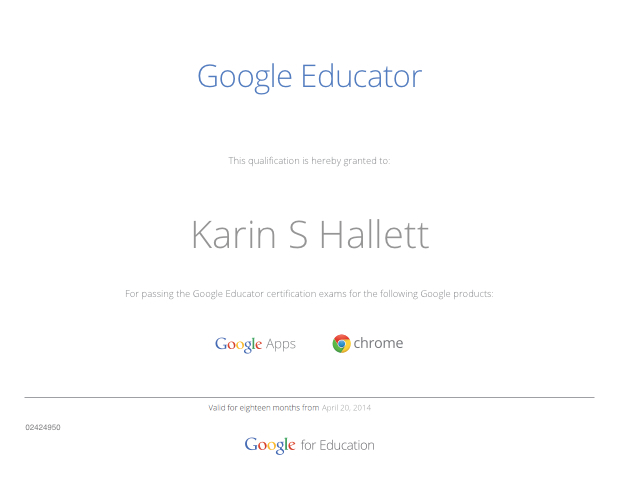 There are lots of great instructional resources available online, but I have grown partial to Common Sense Media’s lessons and video library. While this not-for-profit organization suggests a scope & sequence for teaching the various topics/building blocks that make up digital citizenship, I’ve decided to adapt some of the lesson plans to better suit my students’ needs. 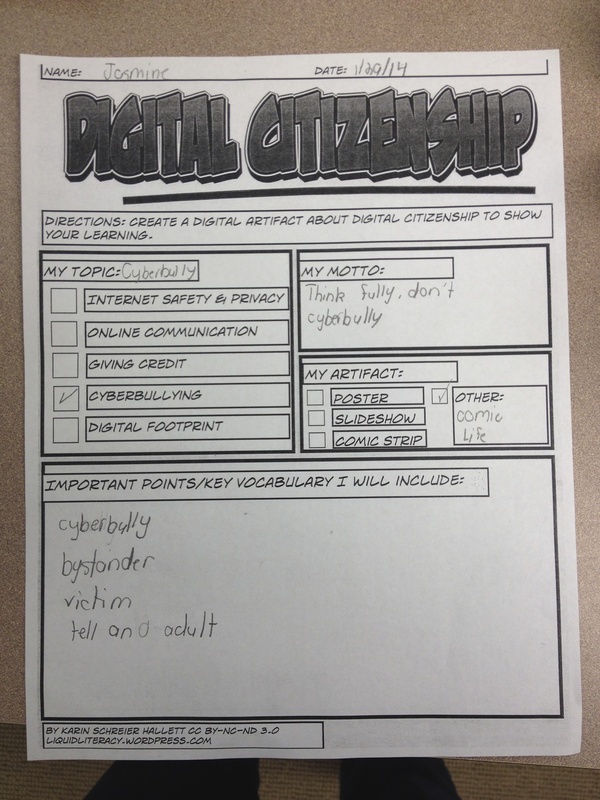 My fourth grade students just completed their last unit lesson, “Digital Citizenship Pledge”. 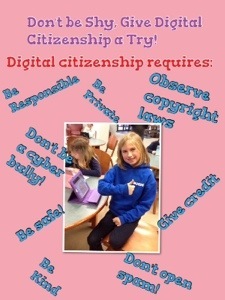 For a final product, they created Digital Citizenship posters. We began by brainstorming everything we had learned these past few weeks about digital citizenship and discussed adding a motto or slogan to our posters. 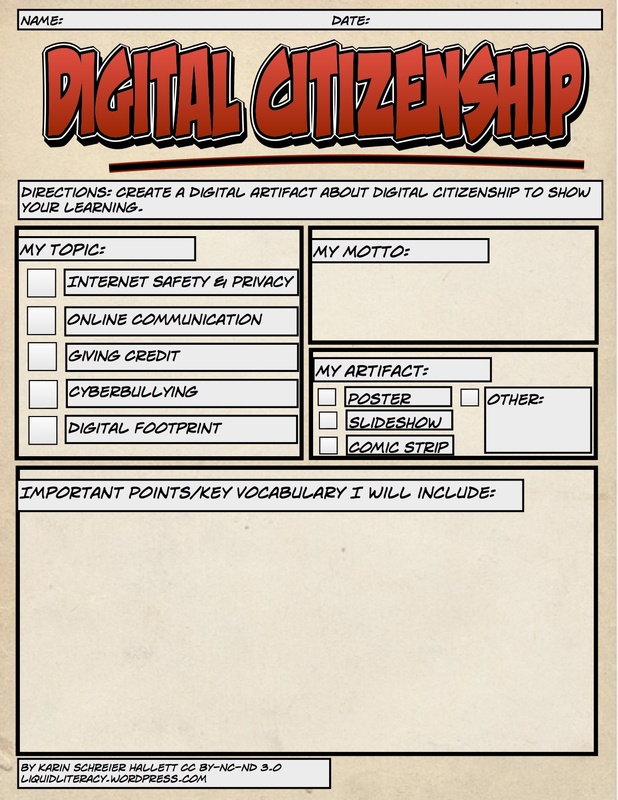 How do you package a concept like digital citizenship into a few catchy words? Not an easy task for some of the kids, but in the end they came up with great posters. I do know that the students understand the various elements that make up digital citizenship, but in hindsight I don’t think creating the posters was the best artifact for students to show their learning. This already occurred to me while the students were brainstorming their mottos. Even though we came up with many examples from the advertising world and discussed how mottos are short and catchy, there were still some students whose mottos consisted of two long sentences. Also, while creating this poster was definitely a quick process, it was too general. So for my 5th grade students, who have also completed the digital citizenship unit, I’ve decided to change things up a bit. I’ve provided more structure in the form of a worksheet. Students are to choose from one of the five main topics we learned about digital citizenship. They then think of a motto, decide on the digital product they plan on creating, and brainstorm important points and key vocabulary they will include in their artifact. So far, most students have completed the worksheets and I am encouraged by the level of detail they provide and the creativity they show. 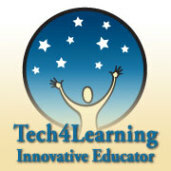 So stay tuned for a great variety of student-created artifacts about digital citizenship!